LEWISVILLE, Texas (September 24, 2015) – The FRP CleanSeam insulated metal panel wall and ceiling system is engineered to address the sweeping reforms created by the FDA Food Safety Modernization Act of 2011. This revolutionary insulated panel system creates a virtually seamless wall and ceiling by combining fiberglass reinforced plastic (FRP) panel faces with a unique flush surface, hard joint that has no voids, is mold, mildew and impact resistant and extremely durable. The FRP panel joints are permanently sealed with a revolutionary two-part caulking compound that bonds the adjacent FRP surfaces together. Panel joints and trim at wall and ceiling junctures in food processing rooms are typically sealed with silicone caulk to prevent moisture migration into the panels, which can lead to unsanitary conditions and become a major contributor to microbial growth. The panels, in conjunction with the silicone-caulked joints, are subjected to rigorous wash-down regimens that include the use of high-pressure spray, hot water and harsh chemicals. Before long, the silicone caulk is washed out or badly degraded and must be replaced in order to prevent intrusion of water into the panel. This can rapidly lead to poor hygienic conditions. FRP CleanSeam panel system eliminates the constant maintenance associated with silicone and butyl caulked joints that quickly deteriorate from frequent and aggressive wash-down regimens. Panels are corrosion free, provide a virtually seamless surface and are USDA and FSIS compliant. CleanSeam has been fully tested and has passed the rigorous testing standard of ASTM-E84 for flame spread and smoke development, is labeled by a certified testing agency and meets IBC code requirements. 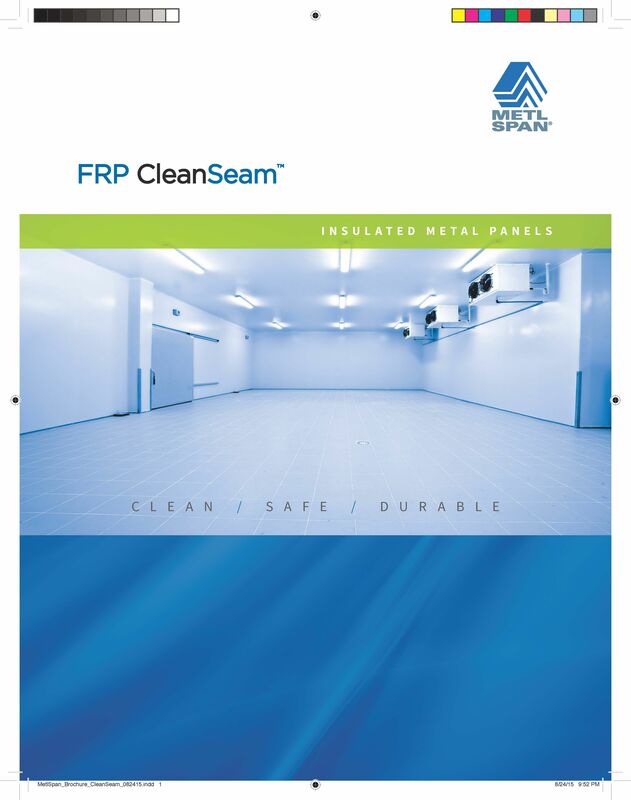 Metl-Span pioneered many of the developments of insulated metal panels and continues to make significant contributions to design innovations and technology that shape industry standards, including its most recent innovation FRP CleanSeam for food processing rooms. For more information on Metl-Span products, call 877-585-9969 or visit www.metlspan.com.